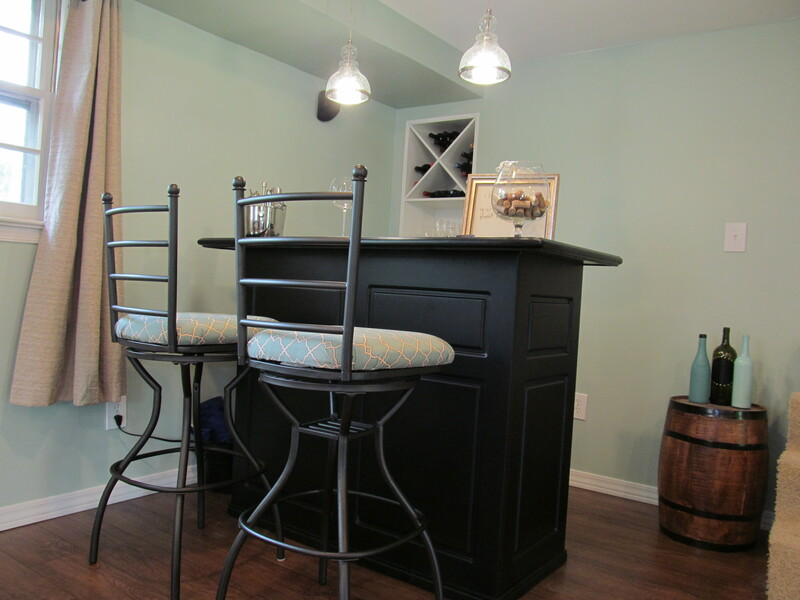 Remember the pair of bar stools I picked up from Craigslist for $15? Well I ordered fabric to recover this excellent find, and it finally arrived this past Saturday! So I quickly got to recovering. The hubby didn’t really want to recover the seats with me, but he helped me unscrew the seats from the stools before leaving me to my project. 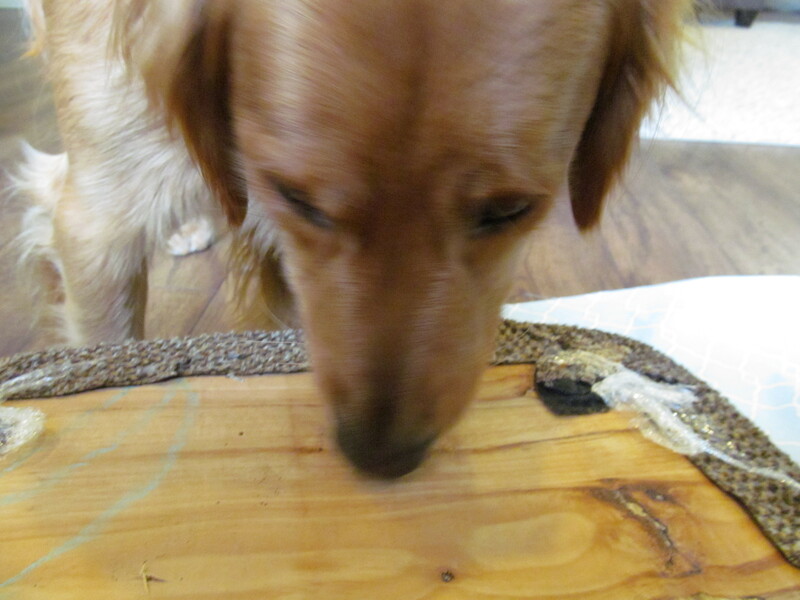 Remmy was very interested in the project. 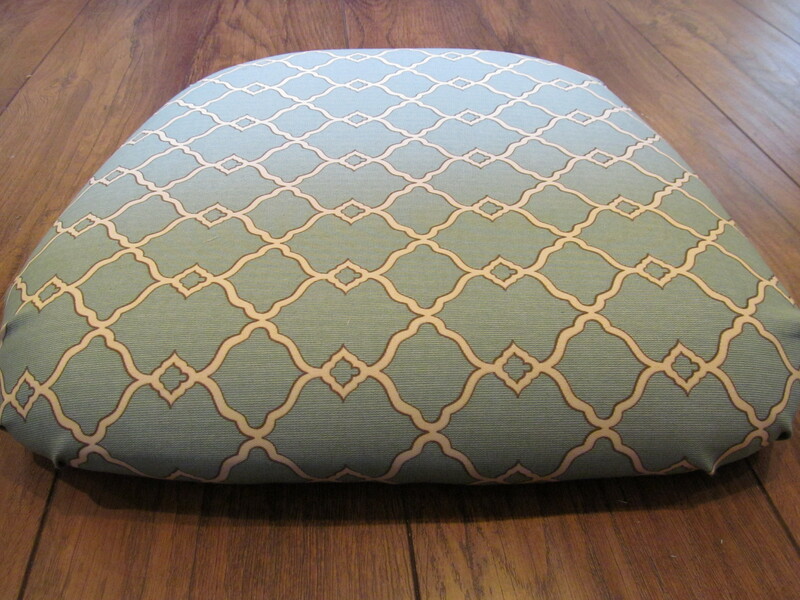 I started by cutting off the existing fabric from the seat. 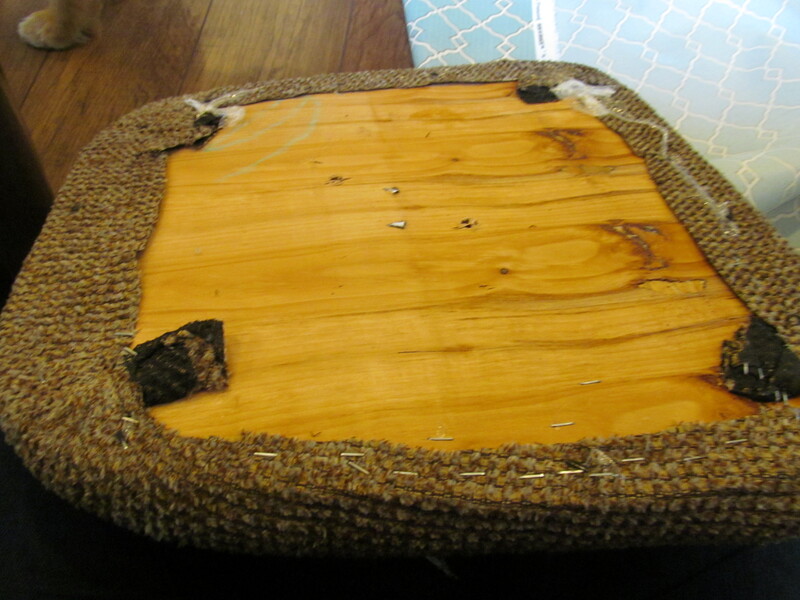 Once all of the fabric was off, I flipped the wooden part of the seat over so the cruddy side with the excess fabric was touching the padding. 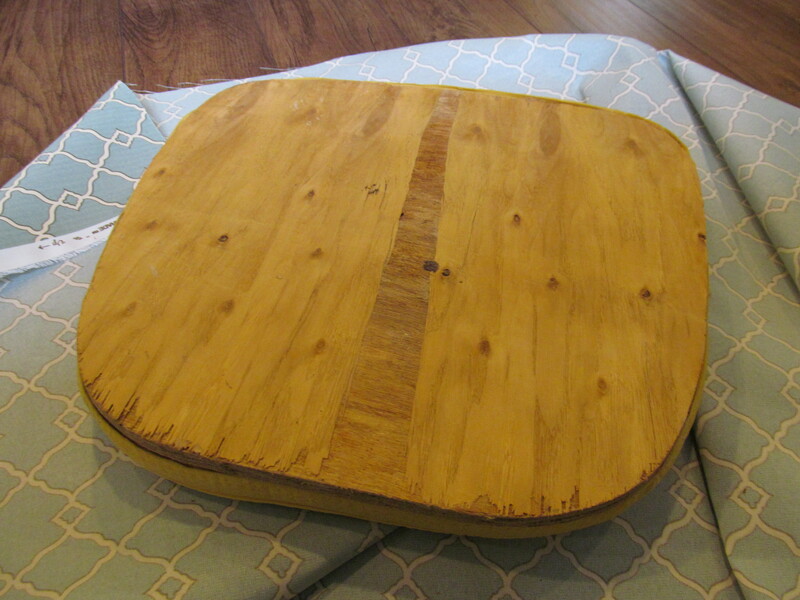 That way the bottom of the wood was staple and fabric free. Then I got to stapling. 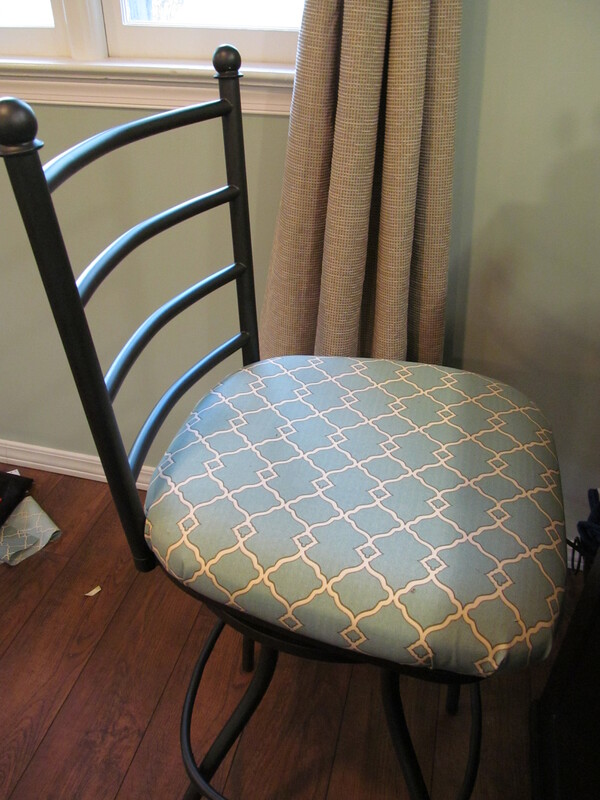 Once I finished stapling the fabric to the chair, which was a bit tricky around the edges (see a quick tutorial here) because of the nature of the fabric, the seats were ready to be screwed back onto the stools. 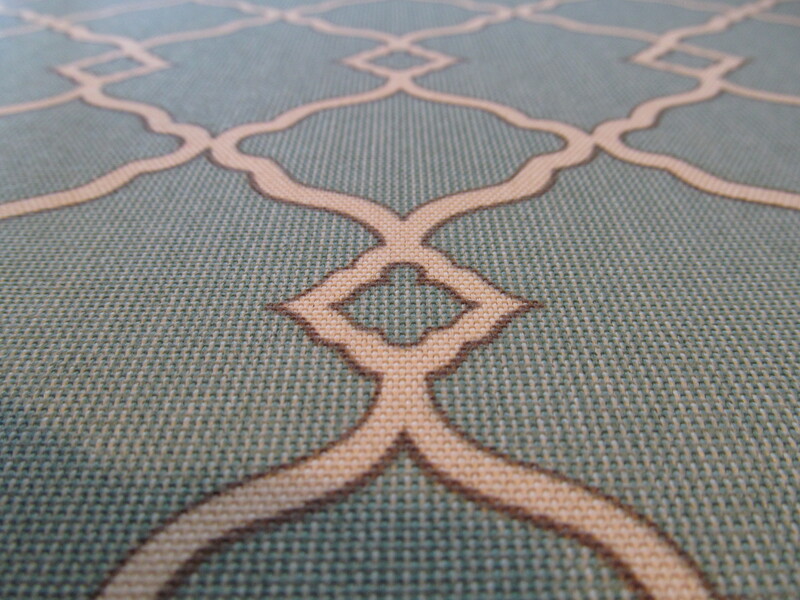 Here’s a close up of the fabric. It matches the wall color perfectly! 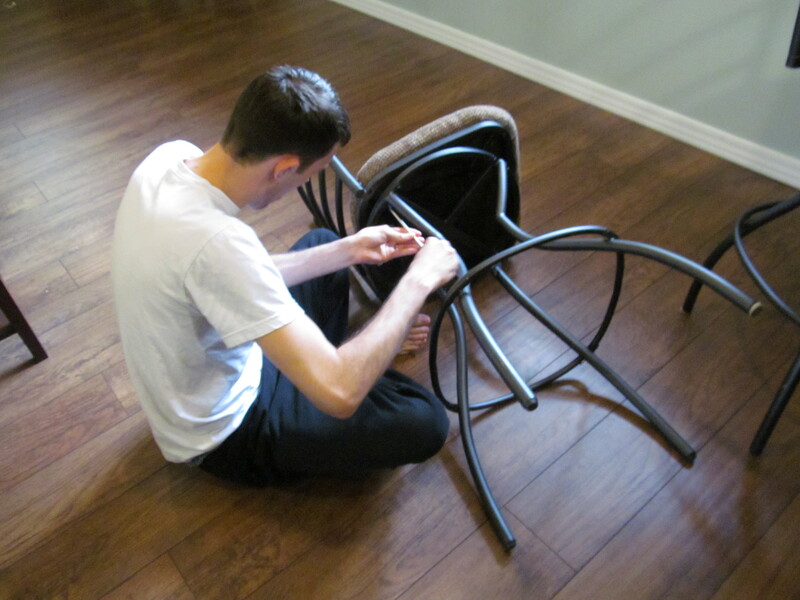 When I bought these stools, the seats were missing a few screw. 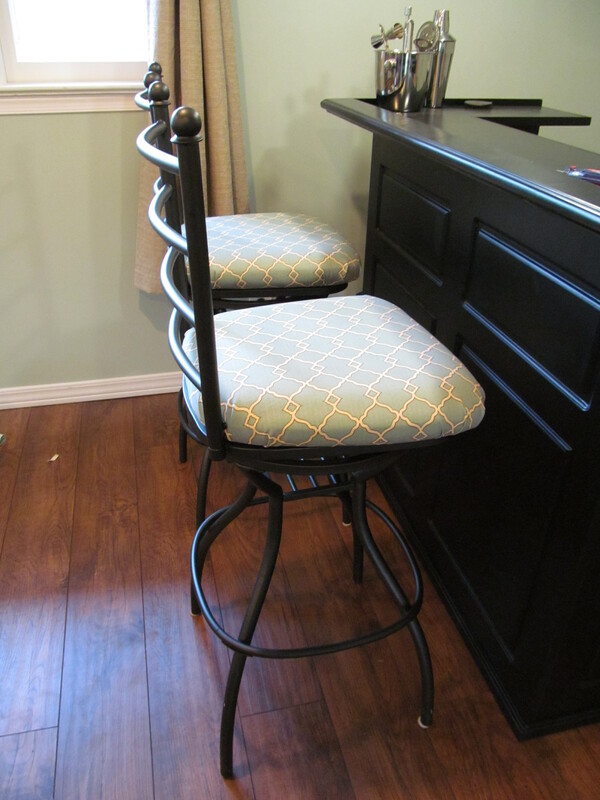 So after digging around and finding some extra screws, I finished off my stools the proper way — with all four screws! So what do you think? I didn’t hate the cushions before, but I love them now. 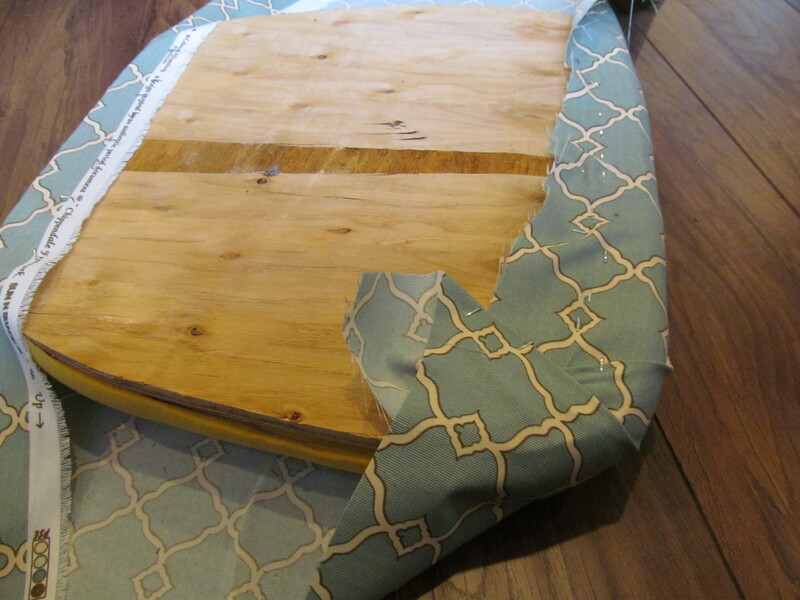 And, the fabric is outdoor fabric, so it is super durable and easy to clean! Win! Haha when you first posted about the barstools, I was hoping we’d see a recovering 🙂 They look wayyy better! Thanks! I think they look better, too. Plus it’s outdoor fabric so it will clean up really easily!